Seagulls spend every day at the beach, hanging out with their friends. They get to swim, relax in the sun & blissfully stare out at the sea. They can go to any beach, any time, any where. Or even multiple beaches in the same day without having to set up, pack up or pay. They have unlimited access to an all-u-can-eat, fresh seafood buffet. For a change of pace, they can dip into any number of unattended snacks on the beach. And they can fly. I don’t know about you, but being able to soar through the sky and easily travel from place to place would be my dream come true. 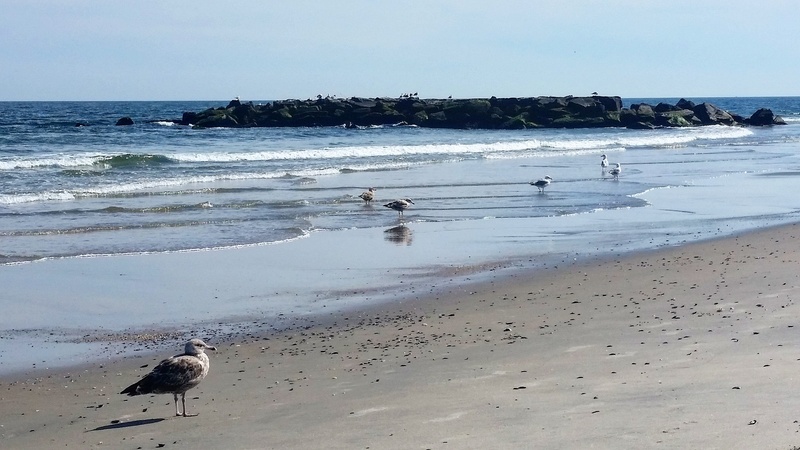 So the next time one of these squawking birds walks over to your towel and tries to steal a piece of your sandwich, give him a little credit… he’s managed to take “beach life” to a whole new level!